Street Critique: Is it time we extended art criticism to Street Art? I've had a lot of feedback since beginning my blogging journey, and it has brought an interesting point to my attention. No matter how much coverage Street Art gets in the media, the standard for assessing it remains steadfastly mediocre. It may seem counterproductive, but subjecting urban art to actual academic criticism (negative included) is a necessary step in bringing it to the same level as fine art. Although I don't like to be negative in general, I do think that street art needs to be told off occasionally for its cliches and occasionally mediocre execution. If it is true that critical discernment can be applied to all cultural activities, Street Art included, then what is holding it back? Of course the fact that it is displayed and enjoyed outside of the conventional gallery setting is a contributing factor, but so are a lot of sculptural pieces, and let's not forget the traditional frescos of say, the Renaissance. Have they escaped criticism? Of course not, a fact that can be corroborated by anyone who has ever taken an art history class. It really boils down to a few things in my humble opinion. Lack of access and exposure, and a good pinch of snobbery. Because legitimate critics are unwilling to do it, criticism is left to the amateurs, like me.. And even I feel a bit silly approaching Street Art in terms of line, composition, or social context as I would a painting, so what we are left with is a lot of shallow drivel, and Street Art's status as an art form is yet to be elevated to its true potential as a result. A handful of graffiti artists have garnered recognition in major museums, so many believe that Street Art criticism is on the rise too.. but here's the problem: the Street Art in museums isn't really Street Art in the majority of cases. These are professionally trained artists creating works inspired by graffiti, and even when legitimate Street Artists exhibit, it's not exactly Street Art in its purest and most original form is it? Manipulated onto a canvas or carefully transcribed onto pristine (and more importantly sanctioned) gallery walls, it loses its edge, and the distinction between genuine street art and the legitimized Street Art has become irrevocably blurred over time as a result. So we're left with a quandary.. inaccessibility and lack of exposure leads in turn to a lack of useful criticism, but displaying this particular art form in a gallery undermines the genre, making it unworthy of criticism in the first place. Equally problematic, moving art outside of the gallery confuses the already ridiculously confusing issue of "what qualifies as art". 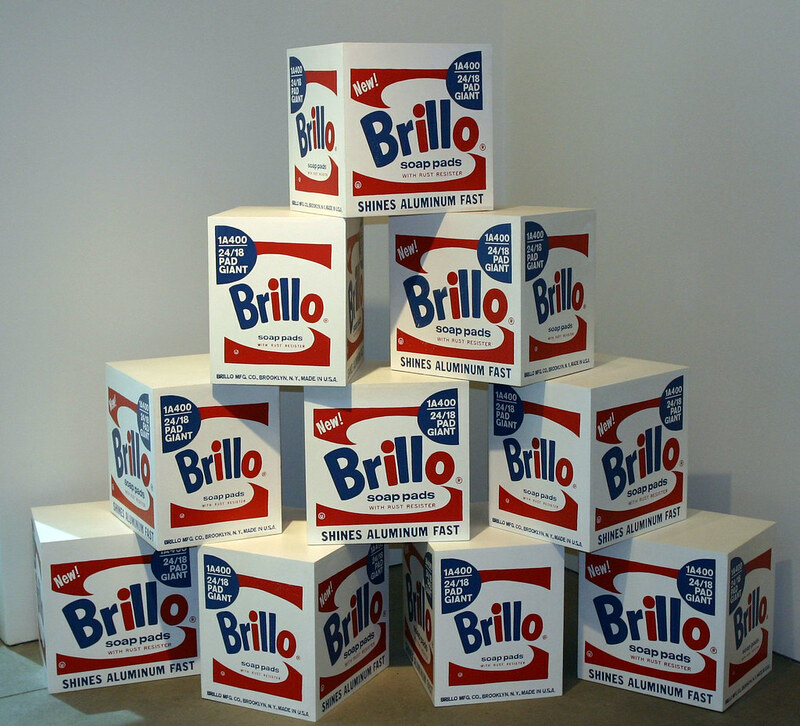 I don't think Andy Warhol's Brillo Boxes would have got very far if they had been stacked against the back wall of a Walmart, for example. So what chance does an unsolicited mural have in the same location? At least in a museum we feel safe in the knowledge that someone else has already established these objects as worthy of criticism. And that's the very issue: nobody of significant cultural importance has done that yet. The hype and celebrity culture of Street Art, coupled with the illegality of it, qualifies it as a "low art form" to most academic art critics, while the six-figure sales of Banksy murals at auction certainly suggest its growing commercial appeal, further damning Street Art as a pop-culture fad. Yes, Street Art upsets a lot of the more traditional among us, but hey Michelangelo pissed a lot of people off painting naked men all over the Sistine Chapel. What is art if it doesn't divide opinions and get people talking?